This past week two well-known people died by suicide: Anthony Bourdain and Kate Spade. The report goes on to highlight that suicide rates in every state have risen since 1999. Illinois alone has seen an increase of nearly 23 percent. It’s no secret that Illinois has also been struggling with budget issues that are directly affecting people’s access to mental healthcare. In a 2015 article Gov. Bruce Rauner was criticized for his proposed cuts to state funding of mental healthcare services. Those who work in the mental health profession also feel the budget constraints and restrictions on the ability to provide proper referrals and services. While some of the blame can be placed on government, there is also stigma that leads to individuals suffering in silence. This is an example of C. Wright Mills and his exploration of private troubles and public issues. Ultimately, what we face as individuals are intrinsically linked to the broader kaleidoscope of human emotions and experience. The CDC report – which found nearly 45,000 people died by suicide in 2016 – does not single out a cause linked to race, religion, sexual orientation or economic status. The report did make note of relationship issues and financial struggles. And who is exempt from these? This is just relevant to mainstream America as it is that black child in Englewood, Austin or Woodlawn that silently cuts his or her wrists in attempts to relieve some mental anguish. It’s equally important to the school social worker who struggles to advocate for a safety plan when home is the primary source of dysfunction. How about when kids are misdiagnosed or undiagnosed and pointed directly down to the prison to pipeline exchange? How is it that only 10 states mandate suicide prevention for training for health professionals? Why is it that Chicago Police have only recently been mandated to take courses on how to deal with a person experiencing a mental health crisis? We must address the stigma through education, conversation and inclusion. 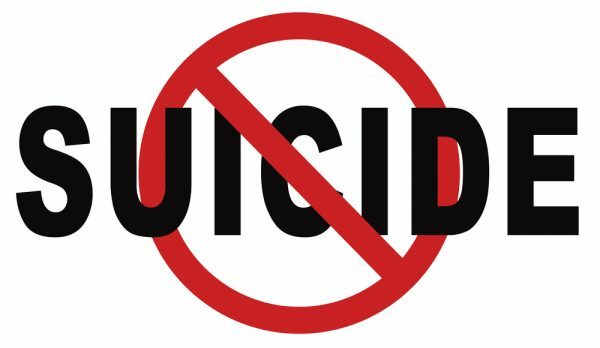 We cannot afford to be surprised by the status of the person that commits suicide. This problem belongs to all of us. If you or someone you know is struggling with depression, suicide or any mental health crisis, please call the confidential hotline 1-800-273-8255.